Nearly quarter of a century after his untimely death, at the age of forty-eight, the climbing career of John Menlove Edwards, one of the most curious in British climbing history, still exerts a compelling fascination. 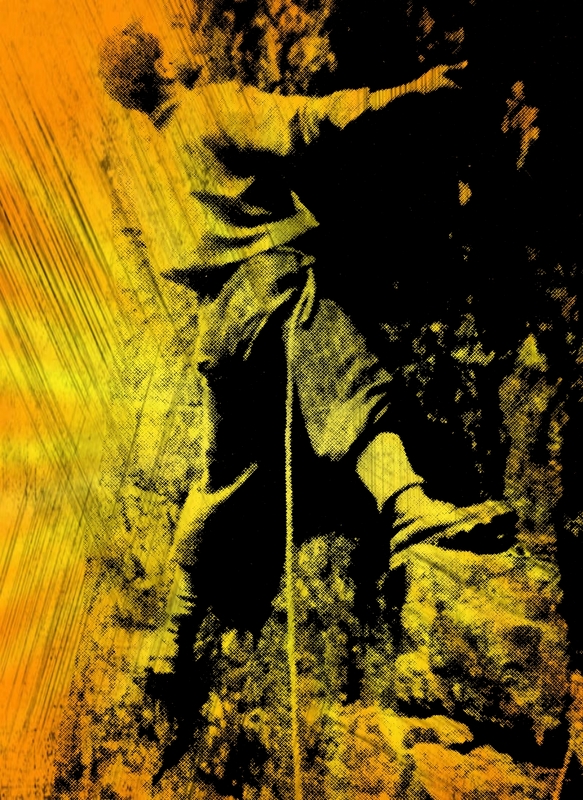 As an innovator, he was the most prolific cragsman of the thirties, pioneering at least ninety new climbs or variations. 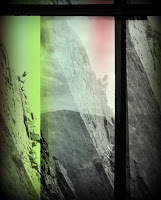 Not interested in aesthetically pleasing lines, Edwards usually selected a less-popular cliff and dissected it over a period of time, sometimes in the process producing mediocre climbs on loose, vegetated rock — a factor seized upon by his critics- but as posterity has shown,a pointer to the future. It is impossible to divorce his traumatic and tortured life from his mountaineering activities, or indeed, the remarkable feats of rowing, sailing or swimming in which J.M.E. indulged at various times — each were an integral part of his complex make-up. Towards the end of his life he considered himself a failure, yet he was a man gifted with an array of talent. As a writer he has been described as having one of the most exciting styles of prose-writing between the wars. His poetry, original and deeply expressive and has received similar praise.He was a proven success as a clinical psychiatrist with a brilliant career ahead of him but it was enough for him and he entered the maze of experimental psychiatry, devoting many years of study to the subject. Mainly because of the war, little progress was made in the field of psychiatric medicine in this country and Edwards was ploughing a lone furrow — the intensity of the work, the deprivation and isolation he imposed upon himself, the inner conflicts of his suppressed homosexual tendencies and the extreme social pressures which he was forced to endure as a conscientious objector during the war years, all helped to erode his resilience. Now in a weakened state, the total rejection of his theories by his fellow psychiatrists, much of it in crude note form, was to him, unacceptable — the tragedy was drawing to its inevitable end and after at least two suicide attempts, Edwards had to suffer the mortifying experience of being committed to Denbigh Mental Hospital where he underwent electric shock treatment. It was to no avail and sometime later he gave up the battle for life before darkness and despair submerged him completely. On the 2nd February, 1958, he ended it all by swallowing potassium cyanide. Since his death two generations of climbers have journeyed through British mountaineering and there is a danger that the deeds of the great figures of the past, like Edwards, will be lost in the passage of time — this would be a tragedy because the climbing world owes him a debt that will probably never be fully realised. Menlove Edwards was born in 1910 at Crossens village, near Southport; he is remembered as a rather shy and sensitive lad, who despite his already powerful build, was usually the family peacemaker whenever his two elder brothers were involved in childish squabbles. At the age of thirteen he won a scholarship to Fettes public school where the lack of privacy and the astringent atmosphere were completely alien to his retiring nature. He shone at sports and distinguished himself at swimming, hockey and cricket. After winning the Begg Memorial Exhibition, he disappointed his family by refusing the possibility of reading medicine at Edinburgh University, choosing instead to enrol at Liverpool University where he could be near his family, concerned about his father, who was forced to retire through ill-health on a vicar's meagre pension. At Liverpool University he was introduced to climbing by his brother, Hewlett—this was in 1929 and his progress the next year was phenomenal! In August, 1930, he pioneered Ochre Slab on Lliwedd, followed a few months later by Route V on the East Wall of Idwal Slabs and by the end of 1931 he was responsible for fourteen new climbs in Snowdonia, the pick of these being Flying Buttress and Spiral Stairs on Dinas Cromlech, the Girdle Traverse of Idwal East Wall and the Final Flake on Glyder Fach. 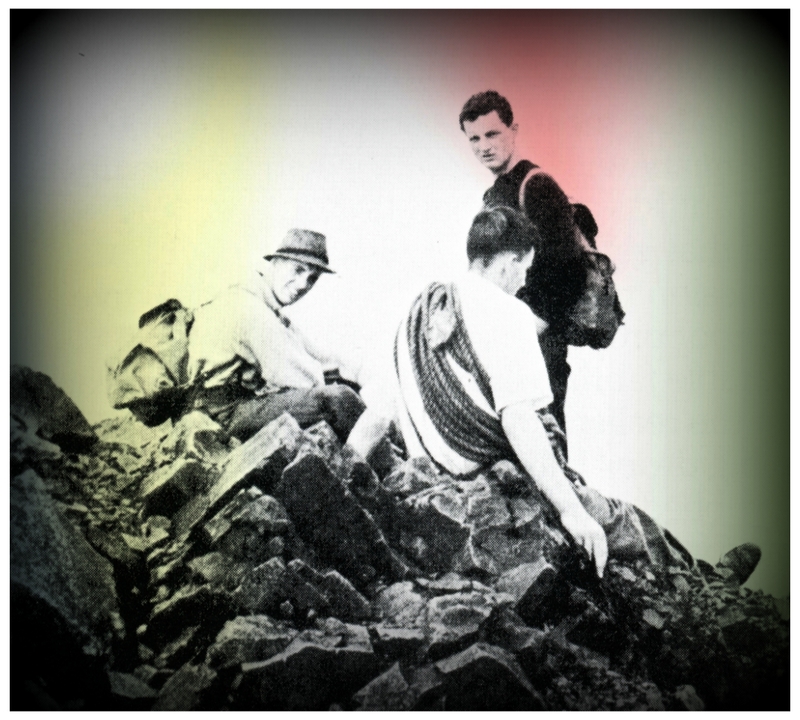 On the 29th August, 1931, he emphasised his arrival in British climbing by becoming the first cragsman to lead Flake Crack, Scafell Central Buttress, without aid at the chockstone and without prior inspection —Edwards was only twenty at the time. He made the ascent in rubbers and later returned to claim the first lead in nailed boots. In the same year, Edwards seconded Kirkus when he pioneered the Chimney Route on Cloggy, and in 1933, Kirkus followed J.M.E. 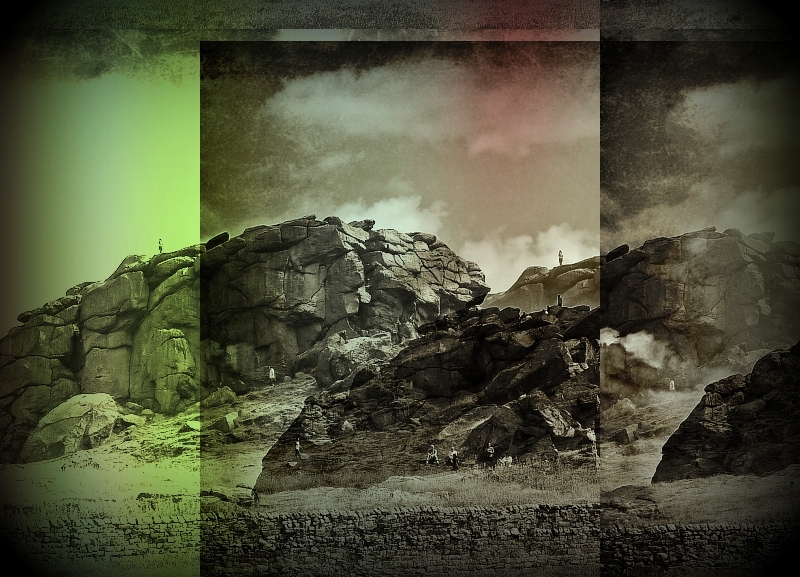 up Nebuchadnezzar' s Crawl on Dinas Cromlech — the only two routes these master climbers ever essayed jointly. Edwards was arguably the finest climber produced in this country before the war —although many may feel that Kirkus should hold that distinction. Comparisons between them, hypothetical or not, are bound to happen. Strength was the main characteristic of Edwards and his leads of Flake Crack (HVS), Lliwedd Central Gully (HVS) and Brant and Slape (VS) on Clogwyn y Grochan all typify this attribute (he was also quite capable of leading courses of a delicate nature, i.e. Bow Shaped Slab, Shadow Wall, and Western Slabs — all high standard routes in their day. In contrast, Kirkus appeared to prefer the more delicate balance movement on open faces that reached its highest expression with climbs the calibre of Mickledore Grooves on the East Buttress of Scafell. J.M.E. was considered a safer mountaineer than Kirkus, whose judgement at times was suspect, being involved in a series of spectacular falls, the results of which would have probably had dire consequences had it not been for the belaying expertise of A. B. Hargreaves. He led many of the hardest routes of the day in nailed-boots. These included Longland's, Great Slab and the Chimney on Cloggy; Belle Vue Bastion- Tryfan; Routes 1 and 2, Pillar Rock; Innominate Crack and Sepulchre, Kern Knotts; and Botterill's Slab, Scafell. It was also on Botterill's Slab in pouring rain, three-quarters of the way up, that he decided to proceed further would be stretching his safety margin — he finished the climb on a top rope from a young Wilfred Noyce. His enormous power was displayed to the full during the second ascent of Great Slab, Clogwyn Du'r Arddu, in 1932. 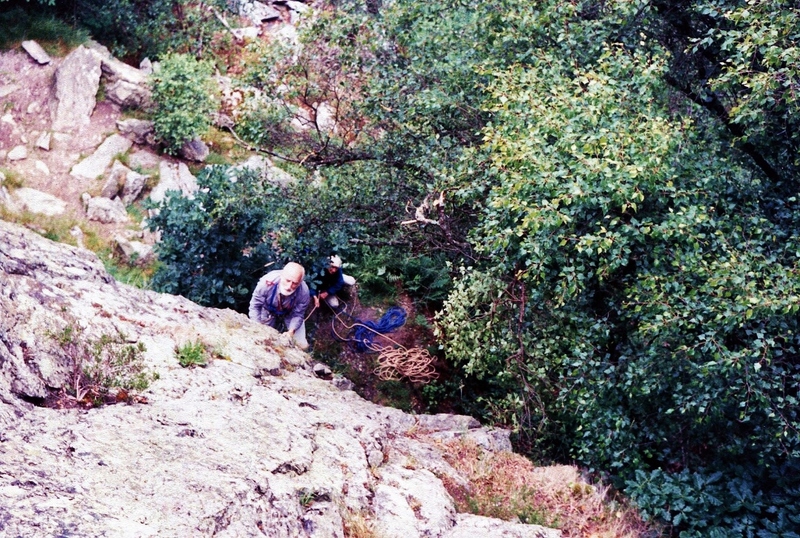 One of the team, a man of fifteen stones, fell free of the face on the end of a 150 ft. line, with the diminutive Alan Hargreaves the unfortunate anchor man. Edwards came down to the belay and without any fuss grasped the rope with his hands and just lifted the dangling climber until he made contact with the rock. Of Wales in general what strikes one most is the large number of unclimbed faces still staring down upon a pretty stiff-necked veneration. 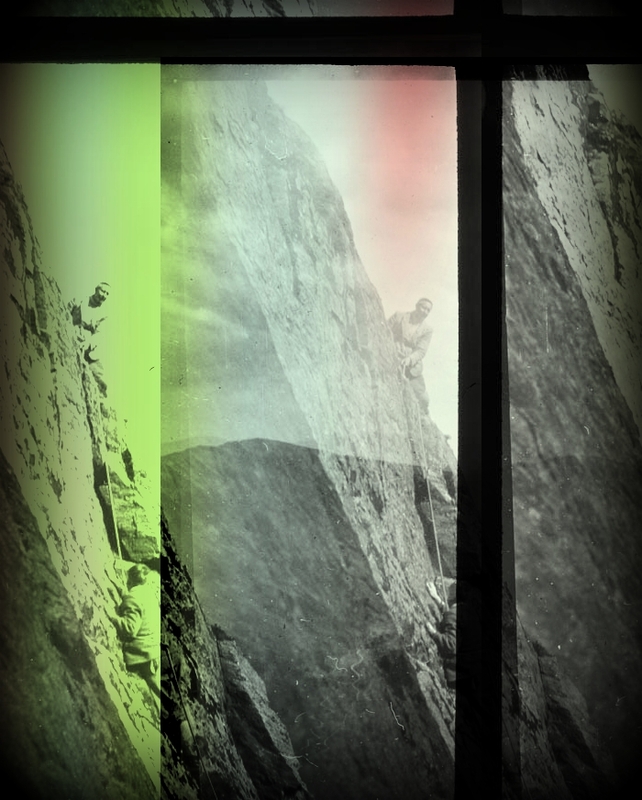 What is the fascination of young climbers in the old Slabs and that still older face of Tryfan? 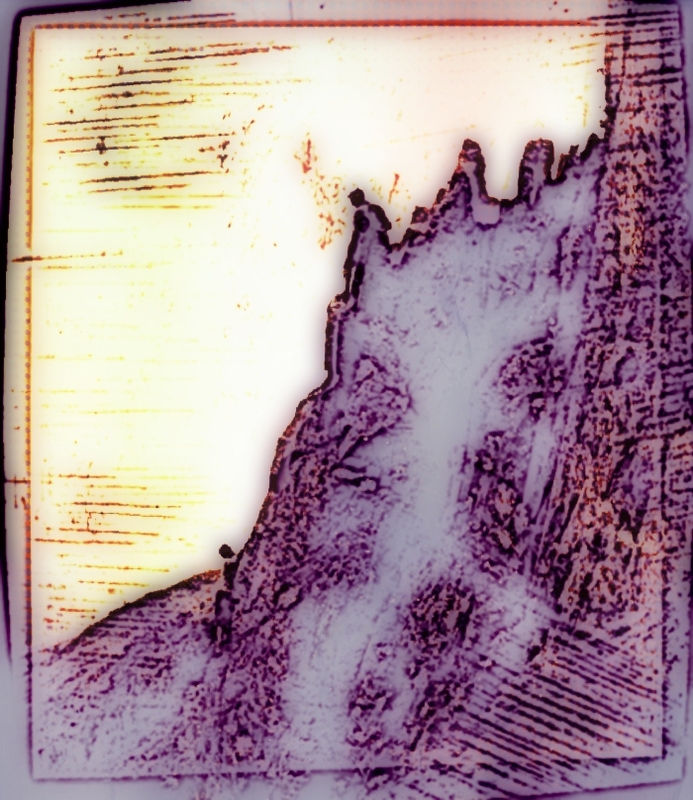 The dank, brooding walls of the Devil's Kitchen were approached by Edwards in this way, and of course, his pilgrimage on the three cliffs of Llanberis Pass. He was no doubt considered eccentric and was subjected to a certain amount of leg-pulling concerning his horticultural pursuits — nevertheless, he was responsible for it least twenty-five pre-war routes in the Pass, paving the way for the climbing mecca this area has since become. It was during the early thirties he became associated with 'The British Mountaineering Journal' — the first commercial climbing magazine to be produced in this country. 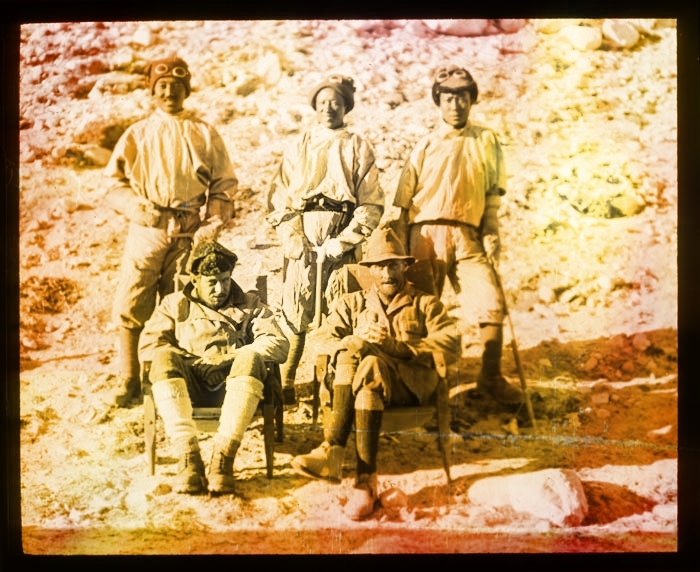 He eventually became editor and although the journal filled an important need in mountaineering literature, its appearance received a mixed reception among senior climbing clubs. Edwards, keenly aware about the lack of information on new climbs, started a series of ' Guides to the British Hills' — the first areas written by him and dealt with the East Wall of Idwal Slabs and Holly Tree Wall. The advantage of a handy pull-out section for visiting climbers was obvious and subsequently the Climbers' Club took over the Welsh Guides, with J.M.E. playing a major role. And it was as a guide book writer that Edwards made his mark with the general climbing world, devoting about seven years of his climbing life to these works. In 1936 he compiled his Cwm Idwal Guide and to many pundits of the time, it was the finest ever produced. He attempted to show not only technical information, but the climber's state of mind and the whole cliff in relation to the most prominent features. 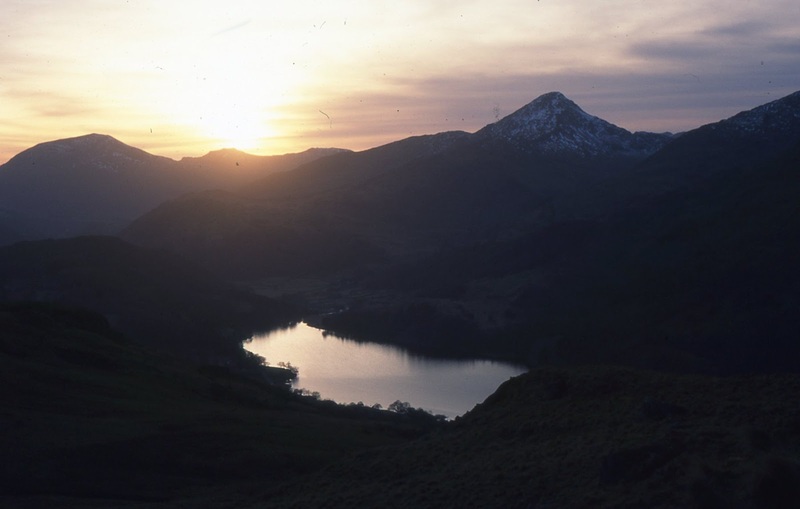 Kelly's Lakes guides were an economy of English, a strong contrast to Menlove's literary style. Viewed across a gap of nearly fifty years, some of his descriptions have not been bettered. 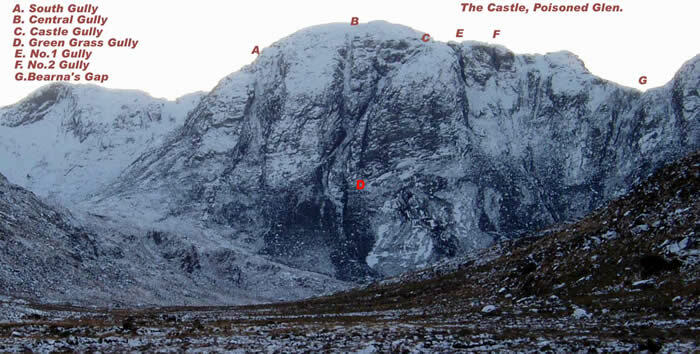 On the first pitch of Belle Vue Bastion he writes, "Numerous scratches lead easily up and round the main corner and on to and up a little subsidiary slab on the edge of all things." Clogwyn-y-Geifr warrants this description, "It has every natural advantage, being steep, composed of pretty rocky sort of rock and being covered with vegetation: also parts of it have been long over-due for public exploitation. It is the sort of place where one can feel the full glory of stepping in perfect safety on someone else's considered opinion." Cwm Idwal was quickly followed by the Tryfan Guide and in 1937 saw the start of Lliwedd — it was two years in preparation and a perpetual battle against adversity. Despite atrocious weather conditions, Edwards camped at the foot of the mountain for a month before being washed out of his tent. Handicapped by a lack of helpers who were willing to endure the rigours of an inhospitable terrain and the standards imposed by J.M.E. Its publication in 1939 was the finale of a monumental effort. During the early war years J.M.E. and John Barford were co-authors of a provisional guide to Clogwyn Du'r Arddu using the controversial continental system of grading routes — it is also interesting to note that Menlove's only creation on Cloggy is Bow Shaped Slab which he climbed on the 20th September, 1942. On the subject of big cliff mentality he related to Noyce: Nobody, in these days, would climb without being certain of a good jughandle hold at the end of it. All a question of habit and nerve training. Soon we will be able to get over that, the leads will come longer and people more able to stick around on small holds for a long time without worrying. The top part of the Pinnacle on Du'r would be climbed. It wanted the right leader, that was all. It was a prophetic statement which Joe Brown and others were to fulfill many years later. Before the recent upsurge of tolerance and enlightenment, the bigoted prejudices society held against homosexuality in the thirties must have been a constant source of deep anxiety to Edwards and a major contribution to his agonising decline. Few knew of his social impediment. It became general knowledge with the publication of his biographical study after his death. It was during the Winter of 1931 he rowed a boat from Arisaig to Skye in a storm — the first of his many amazing aquatic exploits. In the Easter of that year he swam through the Linn of the Dee in full spate. The Linn is a narrow gorge through which the River Dee is compressed with considerable force, especially in the Spring, when the winter snow is melting on the Cairngorms. Apart from some bruising he was unhurt. Not long afterwards he spent sixteen hours alone in a collapsible canoe, paddling from the Isle of Man to the Cumberland coast — an incident which was given wide coverage in a local newspaper. In 1935 he persuaded Colin Kirkus to join him in an attempt to row across the Irish Sea — it became an epic as the pair spent many hours battling against heavy seas and a freezing gale before Edwards amitted defeat and returned to Conwy, only to be swamped by a wave under the jetty. Several months later he hired a fishing smack and left Fraserburgh to sail to Norway — it was to be his most enterprising project to date. He took six weeks' supply of food but was convinced he could do it in three. After sailing through the night his boat was spotted by a Scottish drifter, who went to investigate. It appeared that his boat had a damaged rudder and was made less effective when the drifter ''accidentally" rammed it — Edwards was forced to return to port, much to his disgust. Throughout the towing operation Edwards sat back in his boat and refused to help in any way, suspicious that his friends, worried about the perilous journey, had arranged the fortuitous meeting with the Scottish boat. In January, 1936, he rowed across the Minch to the Isle of Harris. The outward journey took him 28 hours before he reached at a deserted cove — he returned in 24 hours after spending 3 days on the island. His last recorded marine exploit took place in the summer of 1944 when he hired rowing boat at Skye and crossed to the Isle Rhum, then over to Canna, spending 18 hours at sea in poor visibility, being continuously buffeted by wind and rain. One pre-war holiday found him systematically swimming across every large expanse of water in the Lake District and in the early forties he developed an amazing technique of using strong waves off the Cornish coast to lift him on to a cliff, where-upon he would pick out a line to the top. Three commandos who were watching tried to emulate this feat but were tragically drowned. He set off casually, had breakfast at 08.00 hours and no drinks for 24 hours, spending 12 hours, 30 minutes on the actual ridge, returning over the rough terrain from Garsbheinn to Glen Brittle in the dark. He saw the war as civilisation gone mad and registered, on pacifist grounds, as a conscientious objector. Imposed austerity meant the closing of his child guidance clinic in the Liverpool area where he was consultant psychiatrist, and where he did some of his finest work. It was a body blow to his professional idealism! After a short period as a warden fire-watcher, he retired to North Wales, taking up residence in Hafod Owen, a farm cottage he rented from Colin Kirkus, assuming an almost reclusive existence as he committed his theories to paper. These were grim lonely years for Edwards and it is generally thought that this period was the beginning of the end and the onset of his mental instability. 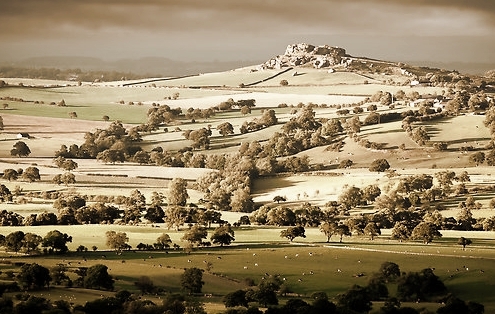 His brother-in-law, the famous Red Dean of Canterbury, and many friends rallied round, offering help and encouragement when they realized J.M.E.' s low state. With funds short he applied for a study grant which was refused and in the September of 1942, Colin Kirkus, a navigator with the RAF, was lost over Germany. For a time he worked at Tavistock Clinic and Great Ormond Street, both posts of tremendous prestige, but he did not settle. Paranoid tendencies were now deeply entrenched and he became hypercritical of his seniors. Although his mind was impaired, his old power remained and he resurfaced on rare occasions to pioneer several new routes. These include the Central Gully of Clogwyn Y Grochan and a harder variation two years later in 1951, both of very severe standard. The Route of Knobs on Clogwyn Y Ddysgl in 1952, was another in the typical Edwards mould and rated at Hard Very Severe. Incredibly, he graded neither of these routes above Mild Severe, contesting that a climber of his age could not possibly lead above this standard — he was only 42 years old at the time! On the 26th June, 1957, J.M.E. made his last visit to North Wales, returning to the Devil's Kitchen where he climbed a short crack-line near the final chockstone which he dubbed The Waterfall Route. Eight months later Edwards was dead. After the cremation his ashes were scattered by his sister and brother-in-law on a Welsh hill-side, not far from Hafod Owen and under the craggy shadow of Yr Wyddfa, the tomb. 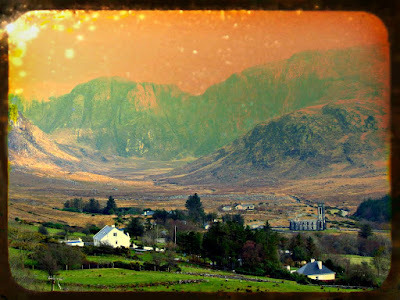 And as we went back home that night following the scratch marks over the rocks and through the heather the evening cleared as it had cleared before and the view was still fair to look upon, golden and with line upon line of hills through the sheen of the air and with the sound of the hills. From False Gods (Unfinished) by J.M.E. 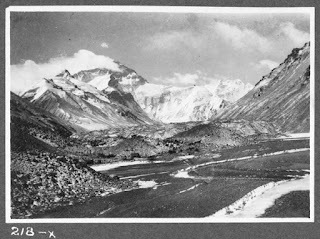 *Footnote Edwards documents his adventures during the compilation of the Lliwedd Guide, in Up Against It', published in the Wayfarers' Journal, circa 1939. 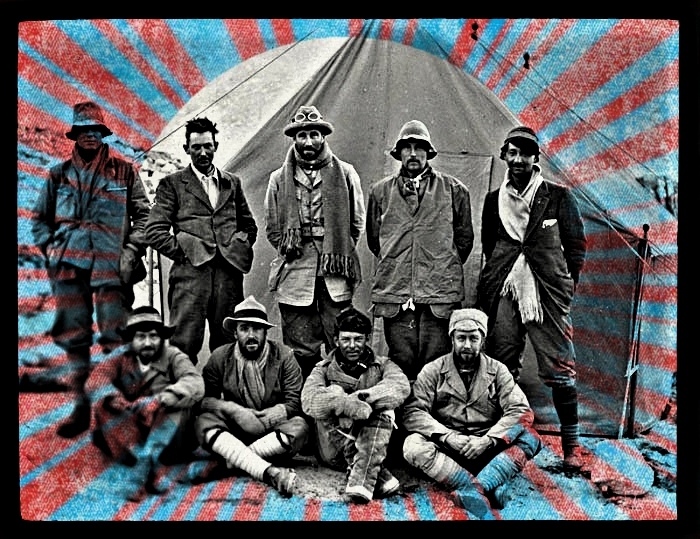 TH Somerville-front left with G Bruce right.1924 Everest Expedition. 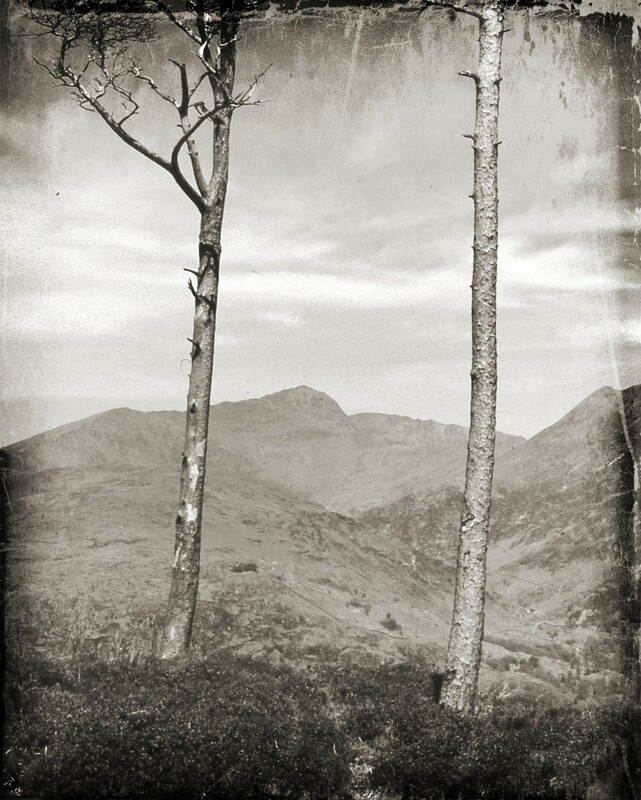 Photo, Bentley Beetham. HE WAS already the grandest of old men when I met him in the early summer of 1970. 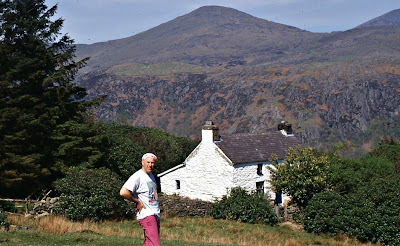 He was then 80 years old, rotund, rubicund and happy, living in a house above Ambleside looking across at the Langdale fells — those same fells on which he had started his climbing career at the turn of the century. And now he is dead —Theodore Howard Somervell, a man of great stamina and even greater ideals. We, in the mountaineering world, will remember him as one of the two men who on June 2, 1924, reached a height of 28,000 feet on the North face of Everest but in India he will be remembered as a surgeon who devoted his life to healing the sick and teaching a new generation of surgeons and physicians. He was born in Kendal in 1890, the son of W. H. Somervell who was then the head of the boot and shoe manufacturers that still exist in that town. 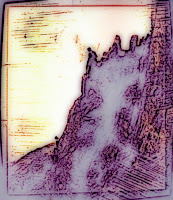 Soon he was wandering alone in the Lakeland Fells and extending his horizon to mild rock climbs. And soon he graduated to the Alps where his father offered to pay for some guides. 'I looked very carefully at what the guides were doing and I saw that a guide isn't a magician — he's a man with experience who knows what snow and ice means. Well, I already knew what rock climbing meant so after that season in the Alps, I never had a guide and I did all the route finding.' He was lucky to survive the war —his ship was delayed by submarines on the way to the Dardanelles — and in 1921 he graduated from University College Hospital as a doctor and surgeon. In 1922 General Bruce chose him for that first assault on Everest. Howard Somervell himself was very modest about the reasons for his selection. He talked about the many better climbers who had been killed in the war and thought that he was chosen because of his stamina. But his patch of snow stopped and he dug himself out only to find that seven Sherpas were missing. 'We climbed down to the bottom of the cliff and dug them out and all except one was dead. 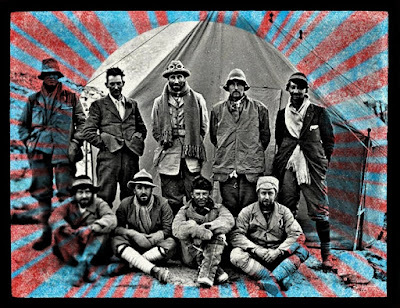 And that was the end of the 1922 Expedition.' He was back in Darjeeling by August and had to wait two months for his boat home so he spent his time travelling around India: 'As a result of what I saw I decided that I must spend the rest of my active life (he was 32 years old at the time) trying to help. There were so few surgeons working in that immense country and there I stayed in a mission hospital for 25 years and then I went on to teach the coming generation. We could have done so much more if only we'd had more time. ‘Coming from a civilised country you could hardly believe the things we saw every day.' 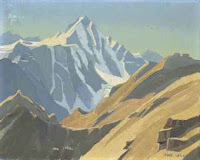 But Everest was to call him away again and in 1924, he and Norton were selected for the second push to the summit after Mallory and Geoffrey Bruce had retreated. Their epic climb to well over 28,000 feet is well documented but I shall always remember this gentle giant sitting in front of a window overlooking the Lakeland fells and recalling the descent: Norton with increasingly painful snowblindness and Somervell, with a plug in his throat that was on the verge of stopping him breathing: 'We were unroped and Norton was ahead and I couldn't breathe in or out so I sat down in the snow and made violent efforts to cough. But I couldn't and I thought "Oh well, this is the end. Cheerio everybody! And then I remembered my medical training — that most of our breathing is done with the diaphragm and so I gave one huge cough and at the same time pressed hard with my hands into my tummy. That did the trick. Up came a horrible black slough which I think was the inside of my larynx. Intense pain —but complete relief. It hurt like hell but it was air in sufficient quantity to keep me alive. If only it had happened higher up, we might both have gone on very much further.' And now he is dead at the age of 84 and I am proud that I met him: mountaineer, surgeon, musician and artist but above all, a man who loved his fellow men, a man who enriched all those diverse people who came into the Christian aura which surrounded his life. On what happened to Mallory and Irvine I always think it is quite possible that they did get to the top and then had an accident on the way down. We know that Norton and I reached our highest point at about three in the afternoon whereas Mallory and Irvine were seen on the Second Step at 12.30, I believe. So they were two and a half hours in front of us and a couple of hundred feet higher. With oxygen and going at least twice as fast as Norton and I, they could have got to the top and back to Camp Six if they'd hurried a bit. Many accidents in climbing history have been on the way down. I think it's probable that one of them slipped while the other was not in a position to hold him. I've always thought that the probable place was a snow and ice slope on the way down and that they would have fallen down that terribly precipitous South-East Face. On his personal equipment for Everest I had a woollen vest, a flannel shirt and three cardigans — not pullovers but cardigans with buttons so that you can take them off easily — and then a short mackintosh coat with buttons up to the top. On my legs I had long woollen underpants and some sort of loose riding breeches. My boots were very light and made in Kendal but big enough to take four pairs of socks. With four pairs of socks, the sweat from your feet settles on the outside pair so that the inner pair stays dry and as long as that stays dry you won't get frostbite. I never got frostbite on Everest or any other mountain on my feet. I'm perfectly satisfied with that as a rational rig-out for climbing. On danger I am sure of this: that many adventures like Everest have certain dangers which have to be faced and any adventure is not worth the name unless there is a certain amount of risk attached to it. On Mallory himself One of the disasters of the First World War was the death of so many good people who might have influenced our nation for the better. And I felt that about Mallory — the tragedy of his death on Everest was not just a personal one. He was an idealist who wanted our nation to be a leader in the world: not in the sense of military power or the bossing of other nations but as an example of what civilisation can do for a people to make them happy. He was not exactly communistic but he did believe in an equal chance for everybody as far as it can be given in a well organised society. I should think he would probably have called himself a Fabian type of socialist. Everest 1924: Irvine standing far left,Mallory next to him.Somerville-Sitting third right.